The forecast is in: several inches of snow, ice and freezing rain are headed your way. Yep, there’s no doubt about it. Winter is coming. And you need to prepare your home for whatever it brings. Use these budget-friendly tips to brace yourself for anything the season hurls your way. Step 1: Change your furnace filter. Put this one on your calendar ASAP, as it will save you money and keep you warmer. When your filter is clean and fresh, it increases airflow and cuts down on the amount of energy you spend pumping heat through your home on nights when the temperature dips below freezing. Step 2: Winterize your A/C and water lines. Before packing your hose up for the winter, make sure it’s completely shut off and that there’s no water waiting inside. This will prevent it from freezing over and potentially cracking your hose. Shut off the water valve on your A/C for the season, too. Chances are you won’t be turning it on during the cooler months, and this will help cut down on costs as well. Step 3: Turn down that water heater. If it’s set for anything above 120 degrees Fahrenheit, lower it. Keeping your water heater at 120 degrees during the winter will lower your costs substantially (and it will reduce the potential for burning your skin on scalding hot water). Step 4: Block the breeze. This is a super easy trick that can save you money on your heating bill and keep you warm during the winter chill. Simply stuff a rolled bath towel under a door crack to keep the draft from coming in. Step 5: Check on your heating system. 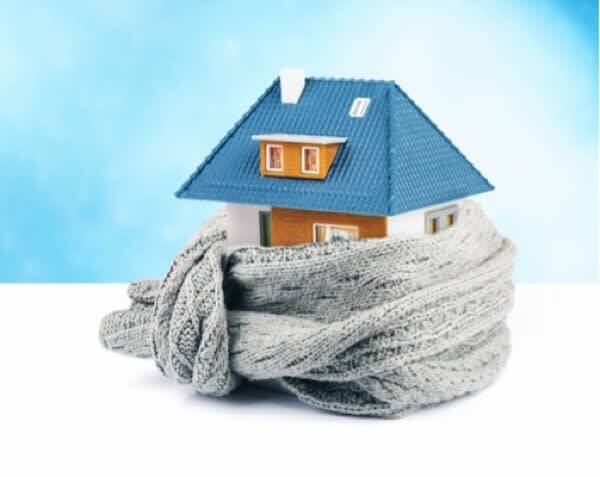 Every winter, it’s important to check on your heating system to make sure everything is running properly. This will keep you warm and also make sure your systems aren’t working extra hard for little payoff. If you purchased your furnace recently, call the manufacturer to see if a technician can come out to fine-tune things. If it’s been a while, call a general technician to schedule a check-up. And if your furnace doesn’t work well, consider a replacement. It could really benefit your home in the long run! Step 6: Wrap the windows. If the windows in your home are on the older side and you’re not planning on replacing them, try this age-old trick to combat the chill: bubble-wrap. That’s right. Tape bubble-wrap to the inside of your window to let sunlight in and keep cold air out. How’s that for double duty? Step 7: Flip your fans. The direction of your fans, that is. Rotating the direction that your ceiling fans spin can help produce warmer air and reduce your heating costs by as much as 10 percent! Step 8: Install some more insulation. Bottom line: if your home isn’t properly insulated, it’s going to get cold. Add some more insulation in the walls to keep things toasty and to keep those heating bills down. Dahl, Timothy. (2017, September 14). 19 Easy Ways to Winterize Your Home. Grosspietsch, Kristina. (N.D.) 11 Ways to Winterize Your Home on a Budget.